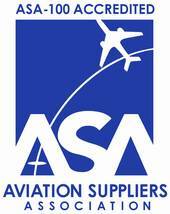 Kelly began auditing for the ASA in October 1997, after eight years with American Airlines. Beginning his career at American in Aircraft Maintenance, Kelly held diverse management positions, including Technical Representative for Vendor Repair, Line Maintenance Auditing, Area Manager for Supply, and Area Manager for Line Maintenance in Florida and Latin America. Leaving American Airlines in 1995, he remained actively involved in the industry through quality consulting and training until joining the ASA. Kelly holds an A&P Certificate, and is a Certified Flight Instructor. In addition to being an ASAAP auditor, Kelly also audits for the Aircraft Fleet Recycling Association (AFRA).